Ingrid Thulin's dress as Karin. White dresses against a red background were a key colour motif in the film. 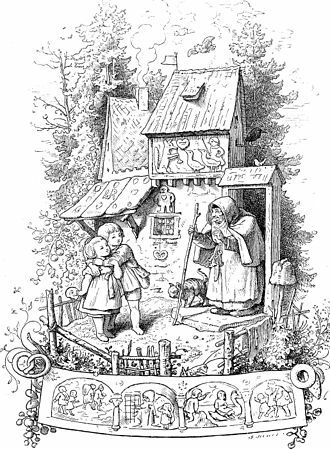 Illustration of "Hansel and Gretel" by Ludwig Richter; like Cries and Whispers, the fairy tale suggests familial abandonment. 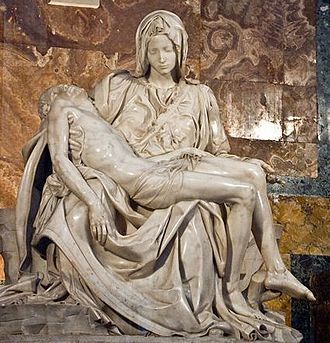 Michelangelo's Pietà; Agnes' death is reminiscent of Jesus' Passion.